Have you ever read "The Secret Garden"? It is a delightful children's book about three children who discover and restore a neglected garden. Although the children understand most of the science behind tending the flowers, they still believe that the garden is full of magic and wonder. This is how most children, even in today's technological world, perceive nature and all of it's miracles. Children love the outdoors. The bugs, the dirt, the birds, the flowers, the trees. After a long winter indoors, they are ready to burst free and enjoy the sunshine and fresh air. Gardening with your children is a fun, healthy way for your family to enjoy nature while learning new things, growing your own food, and improving your landscape. Helping kids grow plants is easy too. They aren't nearly as fussy as adults. All they need are beds or plots of their own, some tools, some plants or seeds, and an adult who is willing and able to make the experience educational AND fun! Be sure to study up on your high school biology. You may hear tons of "why" questions! Although gardening is a great science project, it is very important that you don't kill the magic of nature by being too factual. Young children especially need to find the wonder in how the earth works. Encourage them to create stories around what they see, (and think they see.) This stimulates imagination. The more enthusiastic you are about what they tell you and show you, the more eager they will be to share. Consider it a trade. You are involving them in your gardening project, and they are involving you in their own world. 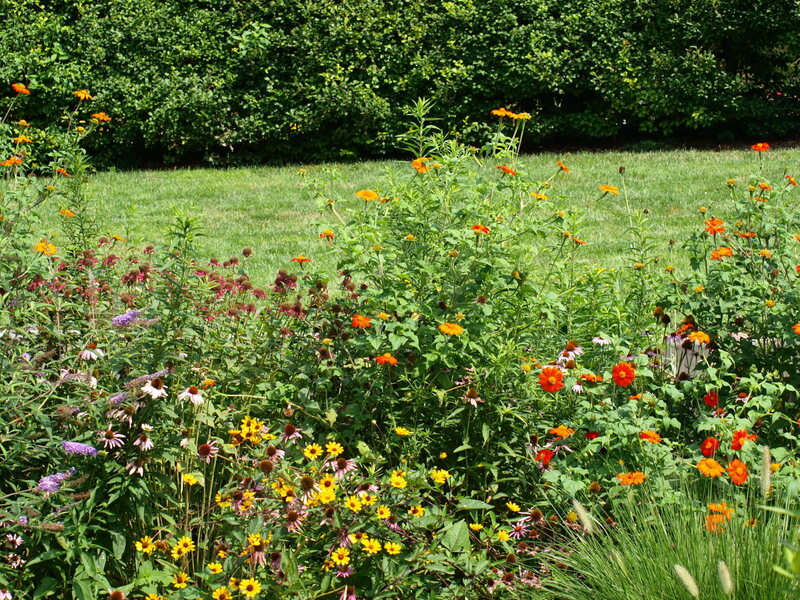 Since children are a lot shorter than their adult counterparts, large flower beds can present a problem. Kids may have to step into the beds to reach some plants or weeds, which can endanger tender, young plants near the front. If containers are too tall, children may not be able to see the plants. Unused pots, pans or bowls. You can also use store-bought flower pots. I recommend plastic for younger children over ceramic or clay. 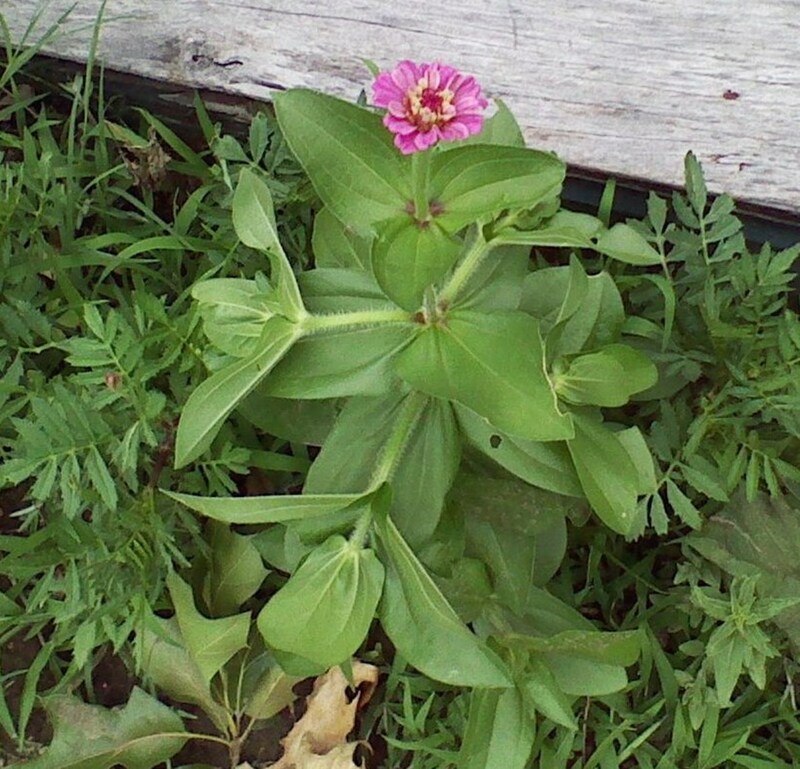 If you are building flower beds specifically for children, let them help with the design. This helps to involve them even further. They may even want to outline their vegetable garden with timbers, bricks or stones. Small segments of pre-existing beds can be divided off as well. Since gardening is the same as imaginative play for kids, they will enjoy having child-sized tools to make the adventure more realistic. Not only will this prevent accidents from a child trying to wield an adult-sized hoe, there will also be less time spent searching for your misplaced tools. Small buckets such as sand-buckets are also fun and useful. Don't forget to add sunscreen, hats, and sun-shades to a child's gardening outfit. Depending on your zone, you may want to start your seeds indoors. This gives the plants time to get stronger before they face a surprise cold-snap or a strong wind. It also provides an opportunity for kids to bring the outdoors inside while they wait for play weather. 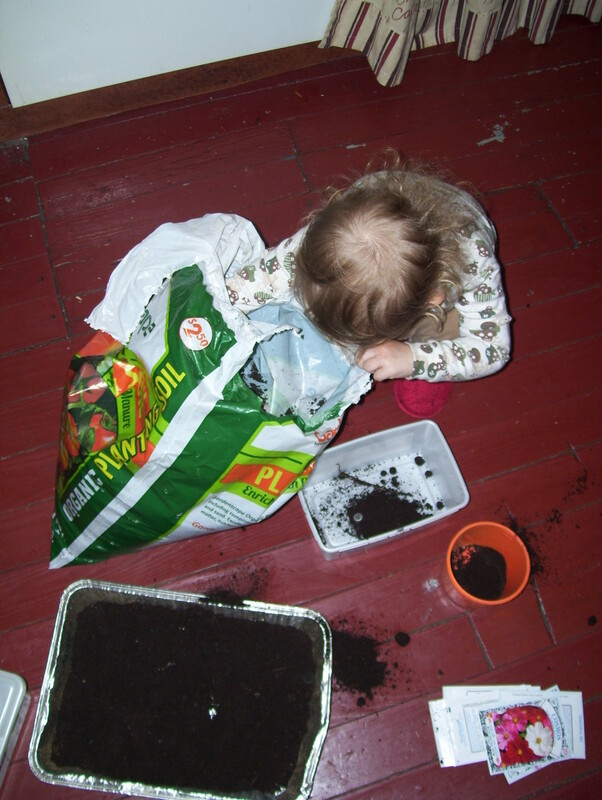 Although you can wait and buy bedding plants for your garden, part of the magic for children is to watch the seeds germinate. It is also a valuable learning experience. I also bought a seed starter kit for my daughter. It only cost $1, and came with a small pot, a pellet of growing medium, and a packet of daisy seeds. The daisies were the first plants of the season, and my daughter loved watching the pellet of growing medium swell when watered. These kits probably won't provide enough flowers to fill a bed, but they are great pre-gardening activity. They can be very useful for those with limited space as well. The flowers can be re-potted and left to grow in a window. 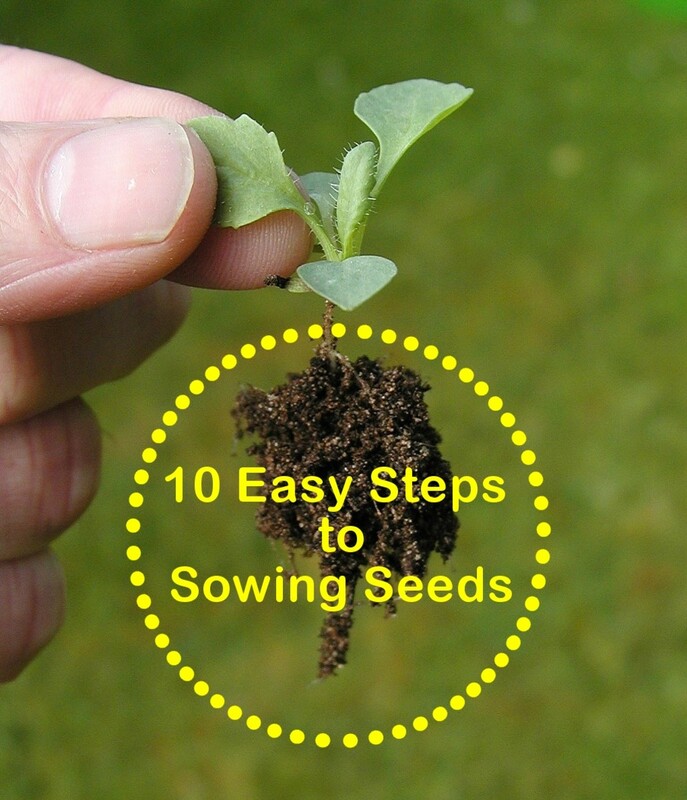 Seeds are inexpensive, and each packet holds more than enough seeds to fill a small flower bed. 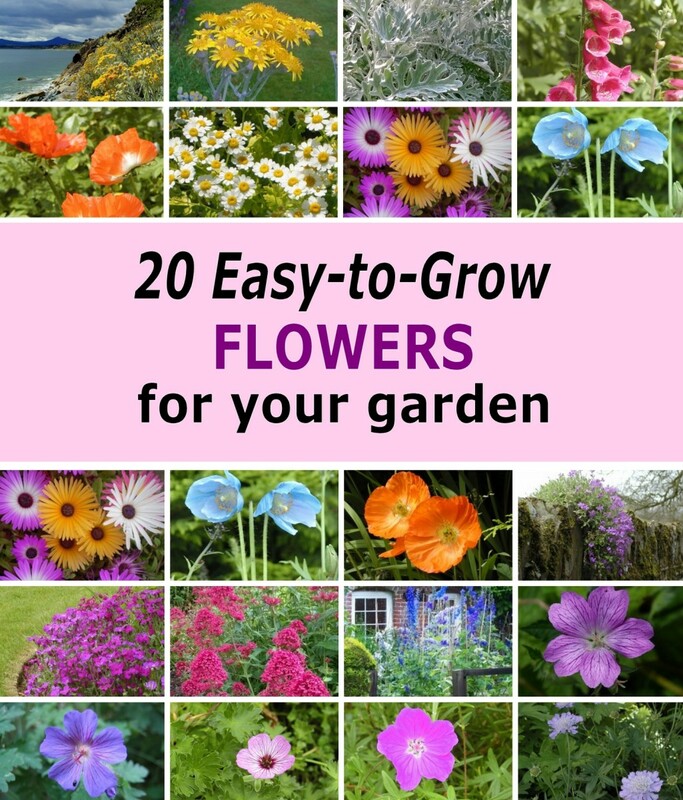 Any flower can be grown, but impatient little gardeners may want to start with seeds that are quick to germinate. 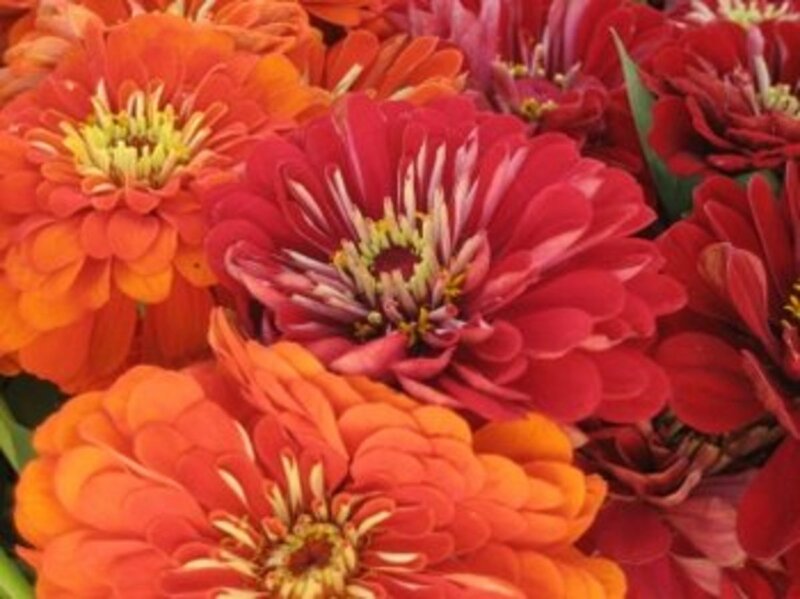 Zinnias--By far, my top preference. They come in a wide range of colors, such as pink, orange, white, red and yellow. The seeds can be mixed up to create a rainbow of color. Caring for them is easy too. They will grow in sun or shade. If you keep the dying flowers cut back, they will continue to bloom late into the fall. 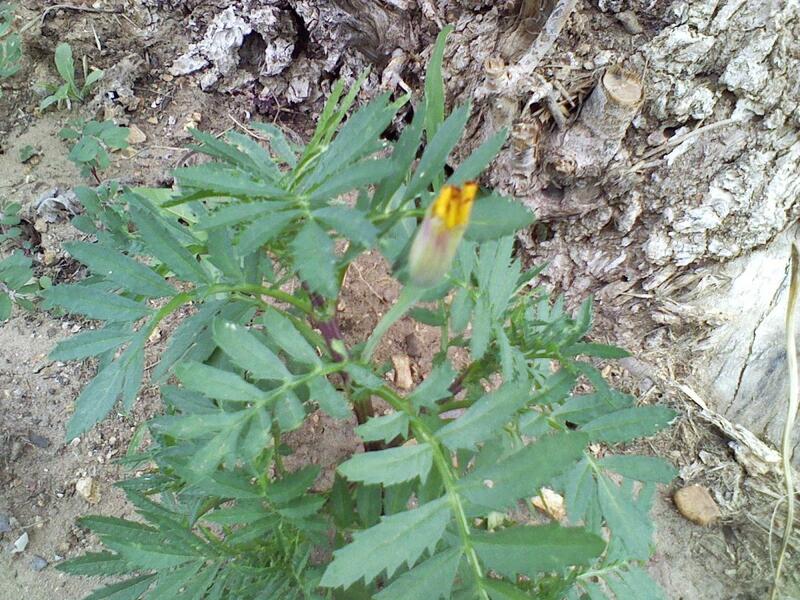 Marigolds--Another easy flower for kids. 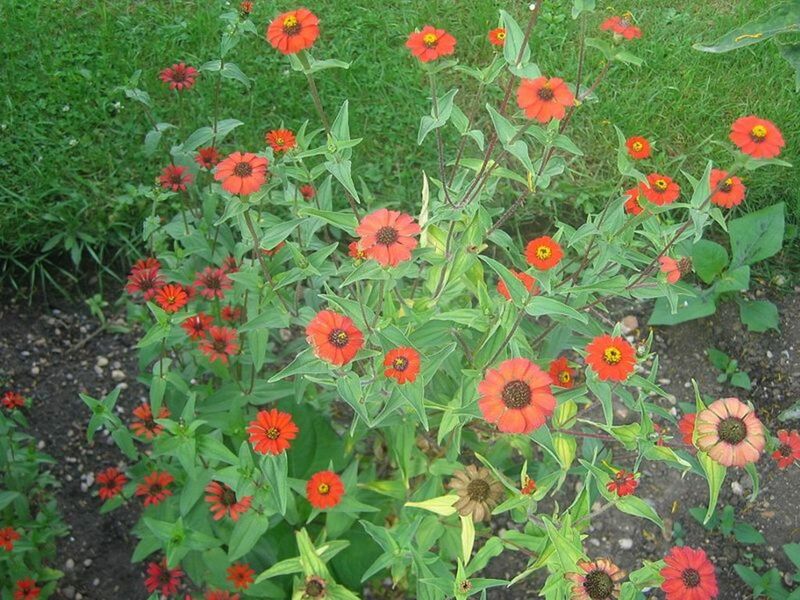 They come in rich bright colors, and a few plants can produce hundreds of blooms. Teach kids how to save the dried flowers so that they can plant their "own" seeds next year. Daisies--There are many varieties of daisies. Some will only bloom the second year. Stagger these with faster growing flowers so that they can surprise your children next year. Sunflowers--they take about 120 days to reach full maturation. (when they produce seeds), but children can be fascinated with them long before they make food. Some of these giants can grow several feet tall, which will make your kids feel super-proud of their green-thumbs! Bachelors Buttons--Even little boys will like these bright blue blooms. Bachelor's buttons are very easy for children to care for, as they will grow nearly anywhere. Stagger planting so that flowers continue to bloom throughout the season. Snapdragons--This plant can afford hours of imaginative play once it has bloomed. When squeezed a certain way, the flowers will open and snap closed, just like a tiny dragon mouth! Germination times and time until plants bloom will all vary depending on temperature, soil conditions, and whether they were started indoors. 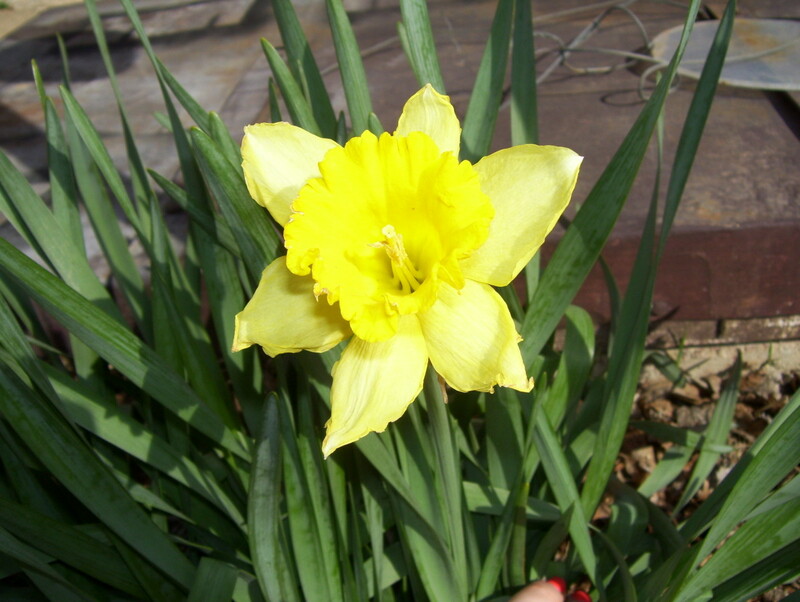 Daffodils--these are not fussy plants. They will root whether they have access to soil OR water. The bulbs can be nestled pointy-side in a shallow dish of water indoors, where they will root and grow. Tulips--these are also easy to grow. With such a wide variety of color, kids can choose the tulip that pleases them best. For extra fun, plant tulips in arrangements that create designs once the plant has bloomed. 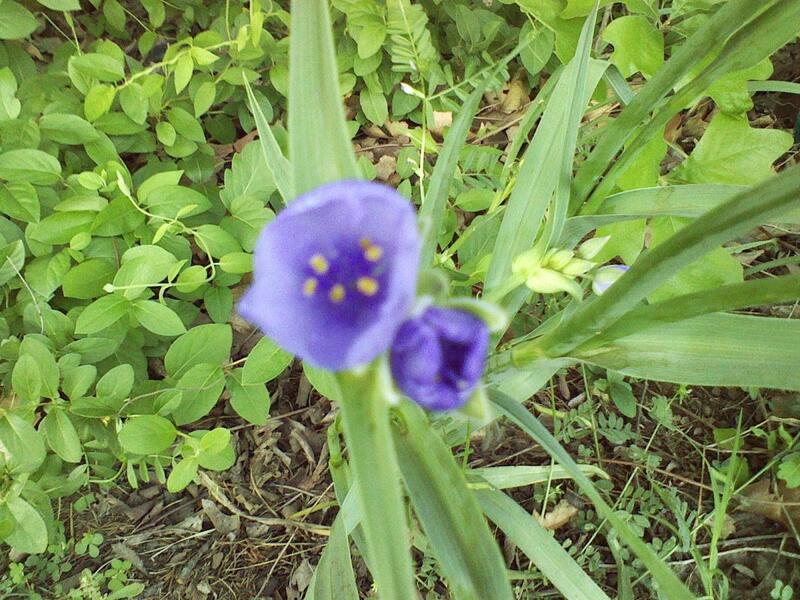 Irises--The blooms are huge and colorful. 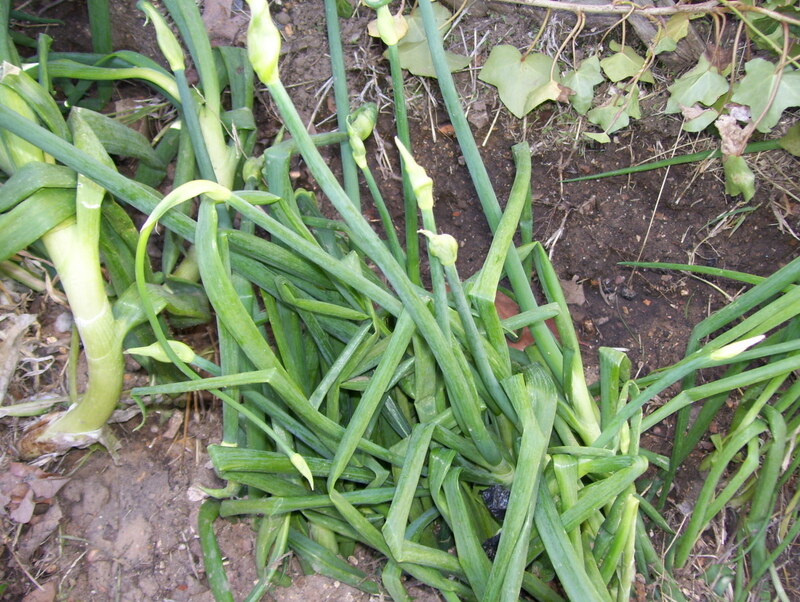 In warmer, humid regions, these bulbs will grow wherever they fall. They don't need much forcing. Crocuses--These flowers will produce more blooms as each year passes. Perfect for planting in clumps. Allow a potato to sprout in a darkened area of your home. Then take the potato outside and plant. Kids can be amazed by how the pale green stems turn dark green and leaves form. This is a great way to explain photosynthesis. Another fun way to experience growing a plant is to propagate a cutting. This can be done in either water or soil. 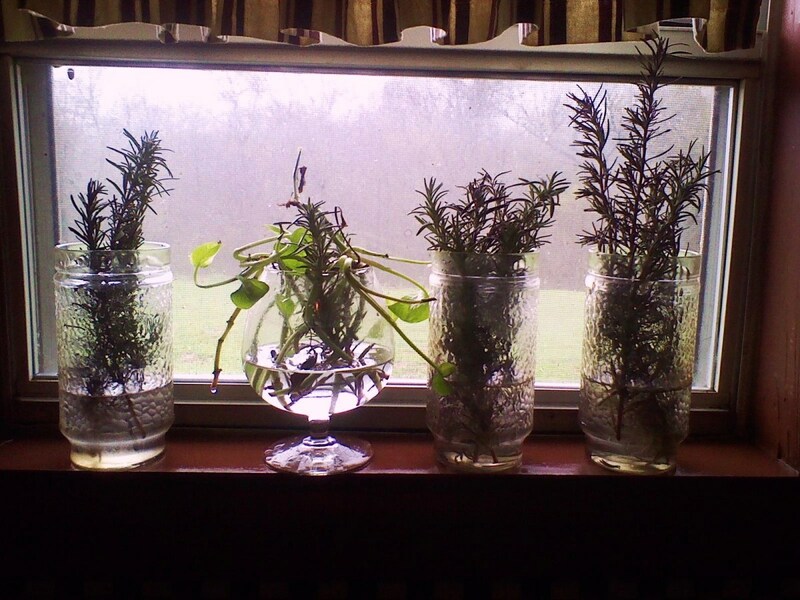 Rosemary--Can be rooted either in water or sandy soil. We prefer to strip the bottoms of the cuttings of leaves then place in a glass of water. They root within a couple of weeks if placed in a sunny windowsill. Lavender--Clip a stem, remove several rows of leaves from the bottom, and place in a glass of water. Basil--Roots easily on the kitchen counter. And you can steal leaves for cooking while it is making roots. 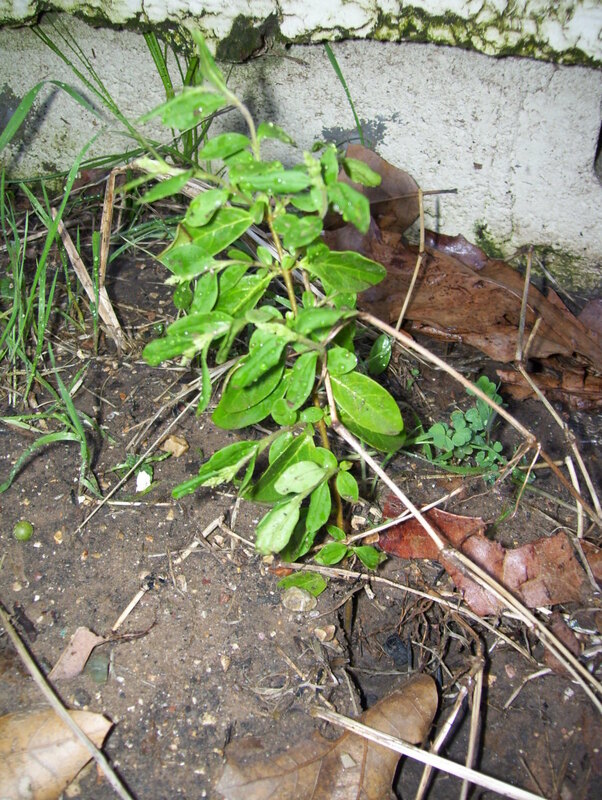 Privet Hedge--These cuttings can be either rooted in water or simply stuck in the ground and watered. Privets can be made into a living play fort by planting them in a semi-circle. In 2-4 years they will be tall enough to provide your children a secret place to play. For added effect, plant snapdragons and daisies in the circle for their very own "secret garden". Mint--Any member of the mint family can be rooted in water. They can later be transplanted to a play area to make a fragrant ground-cover. When the cuttings have produced sufficient roots, they can be transplanted to a pot or to a flower bed. Since the roots will be tender, make sure the hole is large enough to accommodate them comfortably. Don't force them into the ground. 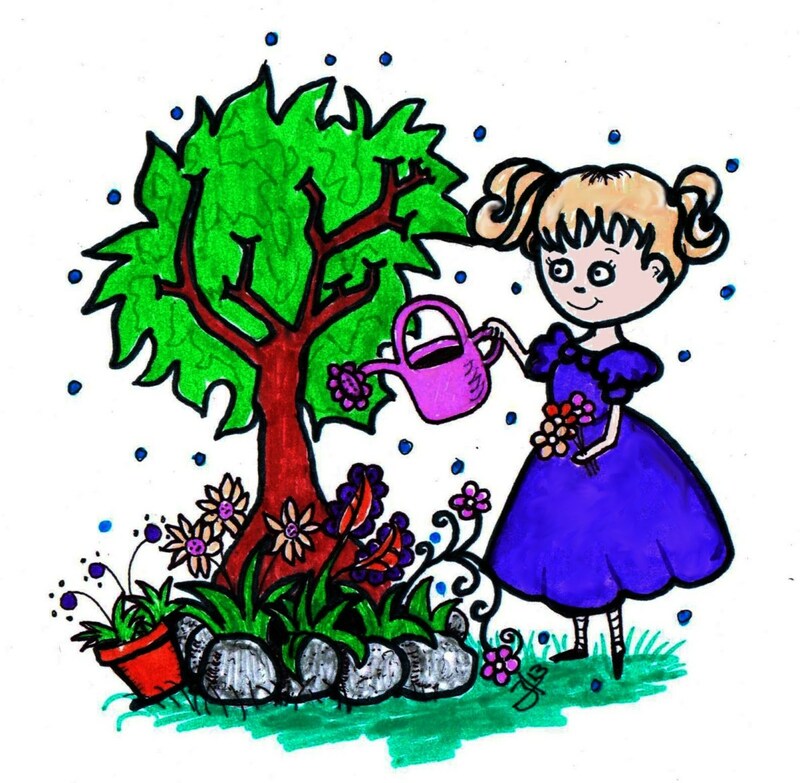 Willow--Help children grow their own willow tree! Simply cut a green branch and plant in a permanent location. Water thoroughly every day. It doesn't take long before a willow starts to grow. Chrysanthemum--These cuttings will root in water or in soil. Stick them in any plot of ground and water. Soon they will be big, bushy and happy. Coleus--will root easily if just floated on water. If planting "sticks" directly into soil (either a pot or the ground) you can dip the stems in rooting hormone first. You can use the commercial kind, or make your own by steeping chopped willow branches in hot water. Once the 'tea" has cooled, you dip the stems in it then plant. Or, you can root them directly in the willow water. 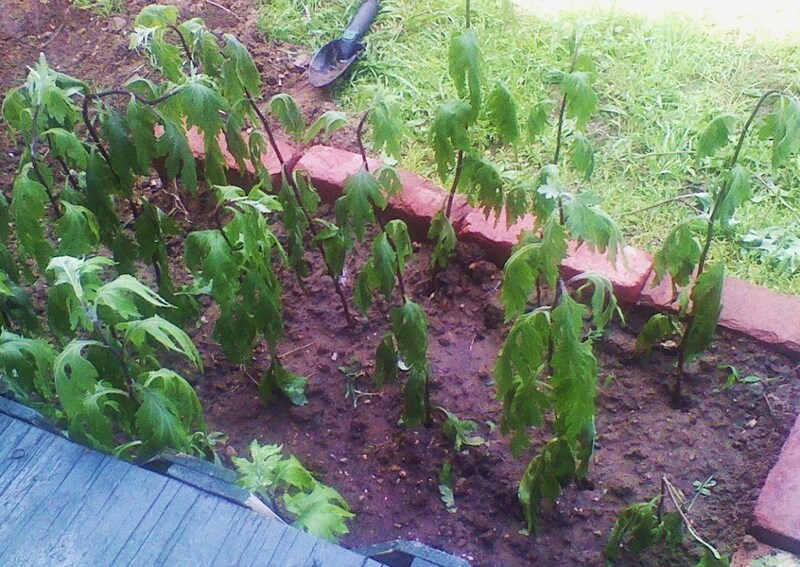 If rooting in water, change the water out every 3 days or when it becomes cloudy or green. This will help prevent rotting, and it allows a much clearer view of the stems.Adding pebbles or glass marbles to the water sometimes helps to toughen the roots to make transplant easier. Water plants that are propagating in soil daily. Sometimes they wilt, but this doesn't necessarily mean they are dead. Do you think gardening with children sounds like fun? Yes! We love to garden together. Yes...but we haven't tried it yet. No. I'm a solitary gardener. Even a picky eater will be more willing to sample vegetables and fruit they have personally grown. If not, you still have some fresh produce for your kitchen, and your children got to enjoy the process of watching the plants grow and ripen. Watermelons, vining peas and beans are fun to watch as they climb fences or cages. Even as an adult I find it fascinating that the more pods I harvest from these plants, the more flowers and pods they produce. Beans and potatoes don't have to be purchased specifically for planting. If you can spare a handful of dried bean or a potato from the pantry then you have a cheap, fun start on your child's vegetable garden. Once the beds have been arranged and the seeds have been planted, it is time to add ornaments and whimsy to the garden. There are so many fun, pretty and interesting decorations for yards that it may be hard to choose just a few. Bowls and shallow pans can be used as butterfly puddles. Painted wooden spoons can become charming plant stakes and markers. Painted rocks can replace gazing balls and add a splash of color among the greenery. Toys can be repurposed into wind chimes and suncatchers. Wood scraps can be painted and made into garden signs. 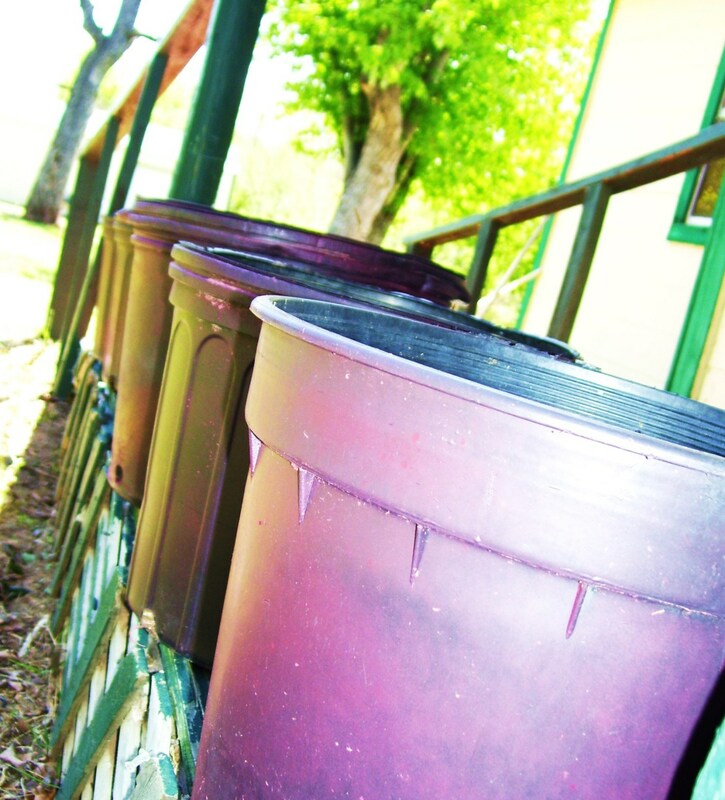 Buckets can be painted and inverted to make plant stands. Saucers can be fixed to posts to create bird feeders. They can also make bed borders. You can also look at dollar stores and thrift stores. Cheap, ceramic figurines look great nestled among the plants. These can usually be found for around $1. Let children choose what they like. So, you might be the only house on the block with penguins rather than garden gnomes...but at least your landscape is unique! Thrift stores and yardsales will sometimes yield old birdhouses. These can easily be painted in bright colors and added close by a child's garden so that they can enjoy watching birds. One of the cheapest, yet most interesting, things you can use is a simple pinwheel. 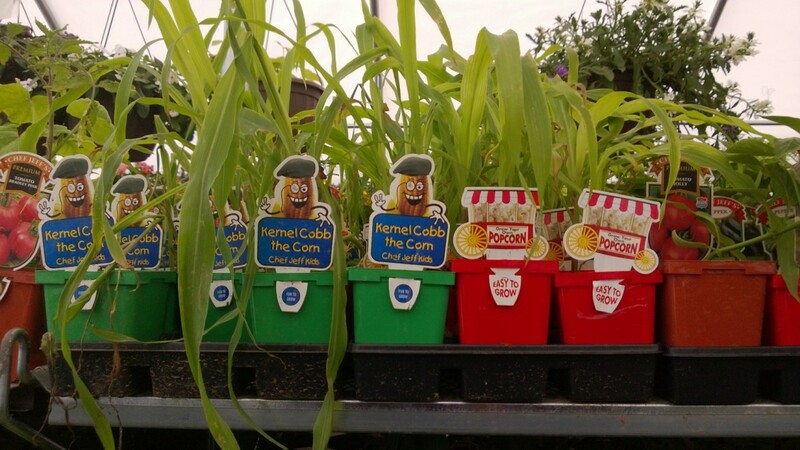 These are very inexpensive, but they add just the right touch to a child's garden. There is something very magical about pinwheels. 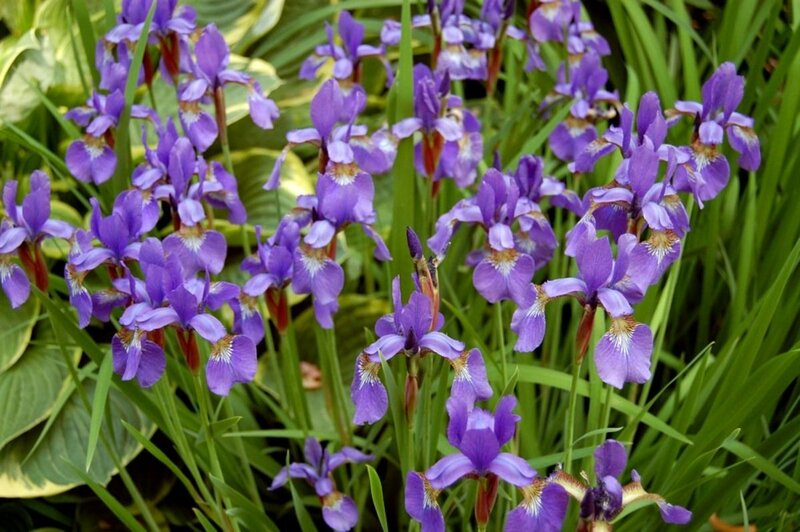 Other plants, such as irises, daffodils, and azaleas can cause digestive upset if consumed in large quantities. These plants can still be enjoyed with supervision. Getting dirty and growing plants is relaxing, but it can also be dangerous. To make sure gardening is safe for your children, use common sense and a few basic safety rules. Tools--Keep power tools away from areas where children are playing and working. Supervise the use of all sharp tools, even those made for children. Water--children love to play in the water. Just be sure to supervise around large containers of deep water. Especially if younger children and toddlers are gardening too. Plants--Not all plants are friendly plants. Teach kids to recognize harmful plants (such as poison ivy). 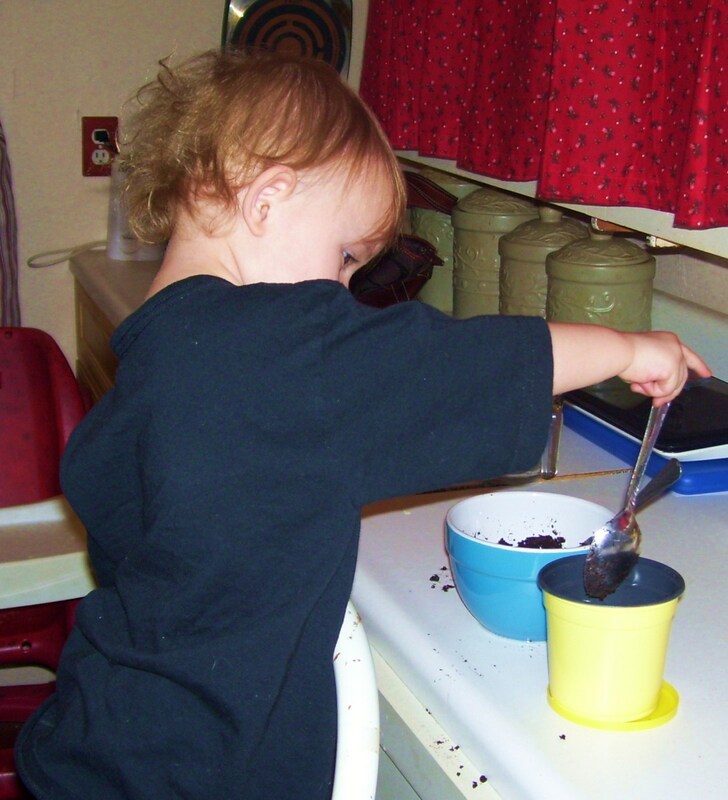 Also teach them not to eat seeds, roots, stems, leaves, and flowers of certain plants. It is always a good idea to wash the hands after planting, as some plants can be slightly toxic. (usually they have to be consumed in large quantities to be dangerous though). Utility lines--Make sure you know where your lines are before you let your children dig! Your kids aren't the only ones that will learn from digging in the earth. You may be a top-notch gardener, but when you begin to teach children about plants and flowers, you are going to see the world of nature from a whole new perspective. Not only will you be exercising, reducing stress, and spending quality time with your family, you are going to find yourself naming worms, relocating bugs, staring at spider webs, and stopping to watch interesting clouds float by. It is almost certain that you will be sprayed by the water hose and doused in dirt. You will be appalled, most likely, as you realize your vision of perfectly manicured beds won't be realized this season. 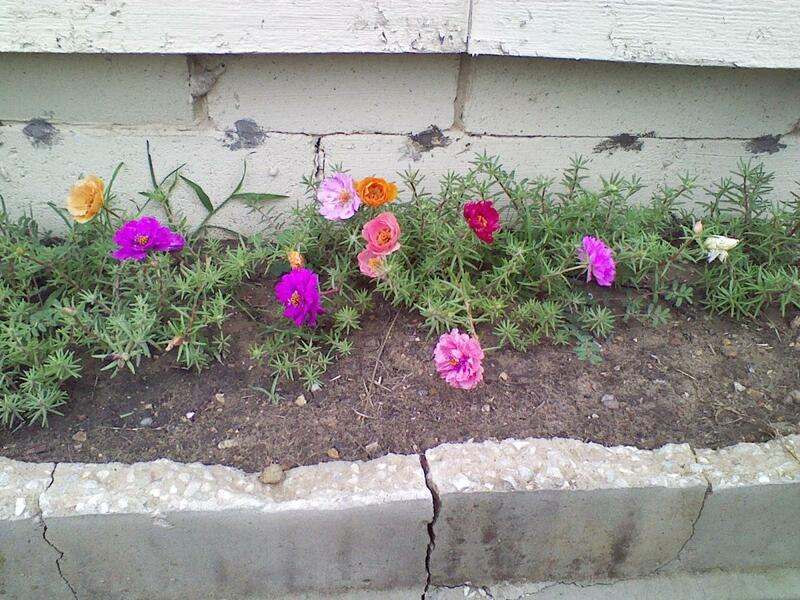 You will find flowers growing in places you didn't want them. You may be forced to keep a "pretty" weed because your child has been watering it dutifully every day. 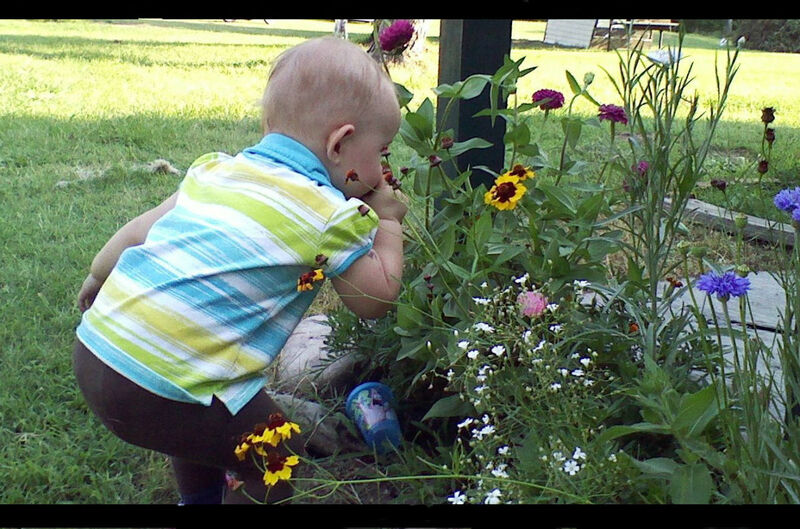 All of these factors will make gardening with your children a memorable event. Just relax and let your flowers and your imagination go wild. Gardening With Kids--Fun Plants and Ideas for Children this is one of the best hubs I have seen here and you did it to perfection. The photos and the video, a well presented hub, informative, and useful indeed voted up, useful interesting, and awesome. 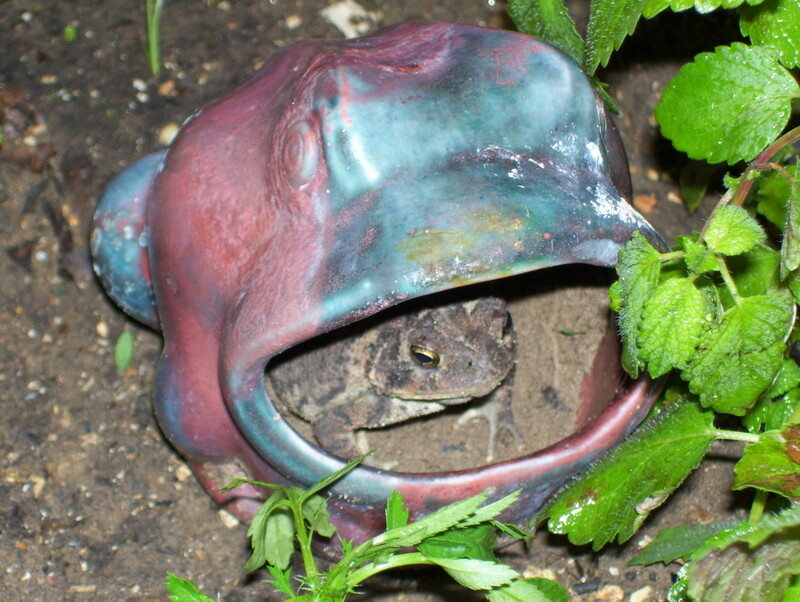 OMG your photos are awesome, especially that one you caught with the toad in the frog, lol. Your grandchildren are adorable, and this hub is so complete. Between the chart and the list of objects to add to the garden, I think you've covered it all. UP/U/A/I and sharing. Sounds like you had a ton of fun gardening with your daughter. Hopefully, she will remember that and continue the tradition when she has children. Thank you for reading and commenting! What a great article - I miss all of this gardening fun now that my daughter is 18 :o( We once grew all kinds in 2 tubs, lettuces, peas, carrots, tomatoes ans surprisingly for my part of England, we had a nice Summer and everything actually grew. Our bunny spent many a soporific afternoon, well stuffed full of lettuce! it is good to see kids joining in the fun in gardening. 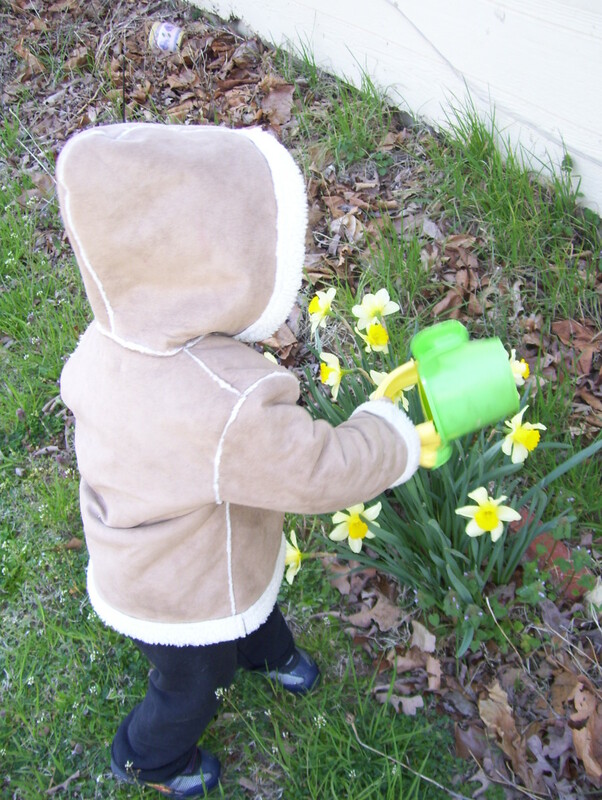 My son loves to sprinkle flowers and plants in the evening. He loves to play with water and end up soaking wet. Had a great time laughing and enjoy the task together. Nice hub. @Rebecca--Thank you so much! I appreciate the compliment and I am glad you enjoyed! Well, this is so beautiful...HOTD stuff here. Awesome, shared , and I hope you receive honors for this! Great article. Although slanted for the children in our lives some of these tips could be useful to adults also. Thumbs up and shared. Thanks Daisy! That is an awesome compliment! @Brian--Thanks for reading, and I hope the willow tea works for you. Sounds like you have some lucky nieces and nephews. I hope they enjoy gardening with you! What a terrific article! This is HubPages Hub of the Day material. @ashlyn'sMom--Aww, sounds like your kids are having fun, even if your flowers get crushed. They will probably like a child-sized flower bed! 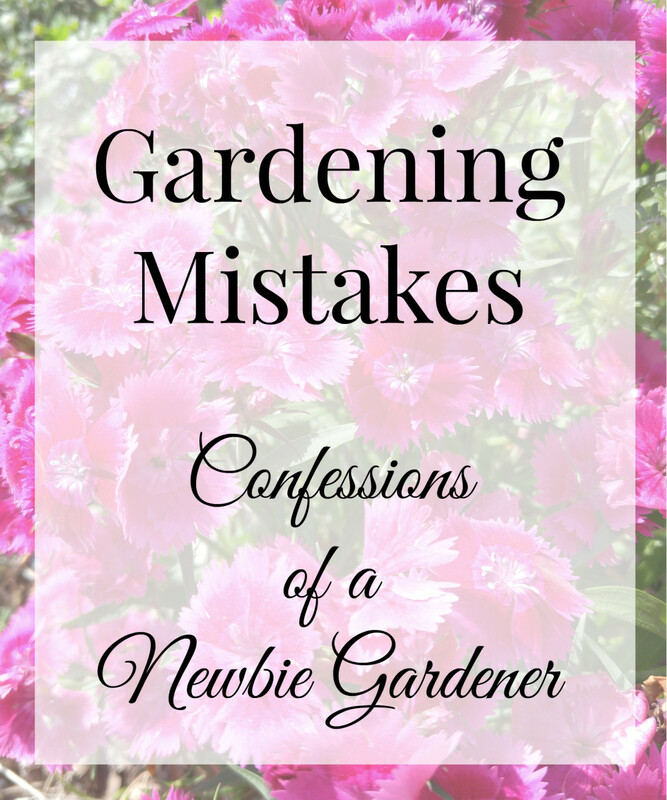 Thanks for reading, and have fun gardening with your children! I had no idea you could make your own rooting hormone. Guess I can stop wasting money on the stuff from stores. I have great memories of gardening with my grandparents. my grandpa grew a full acre vegetable garden, and my grandmama had a large yard full of flower beds. All of us kids were taught to garden by their side. I don't have kids of my own yet, but I have nieces and nephews that enjoy my yard. I will share this with some of my other garden enthusiasts. This is so fun and cute! I've been letting my kids plant in containers. Never thought of just making mini flowerbeds. 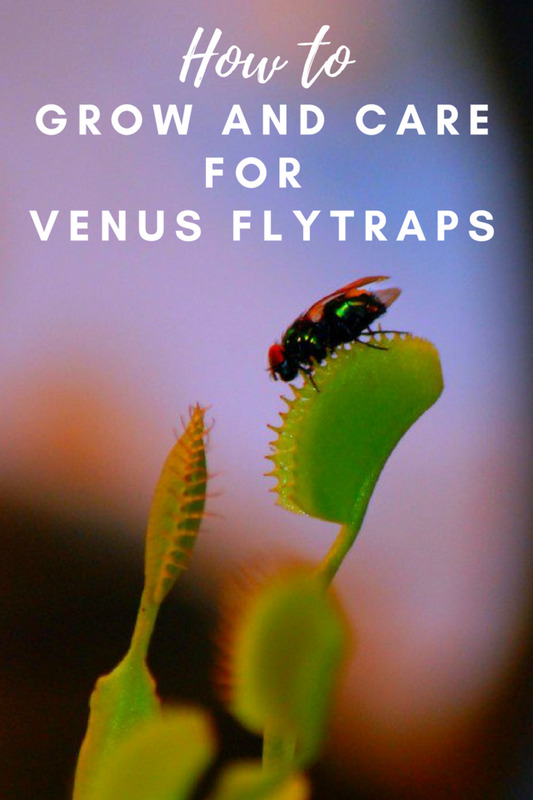 Cool idea, and might save some of my flowers from being stomped. @Natashalh--I LOVE the child-sized gardening tools. They are cute, but completely functional. 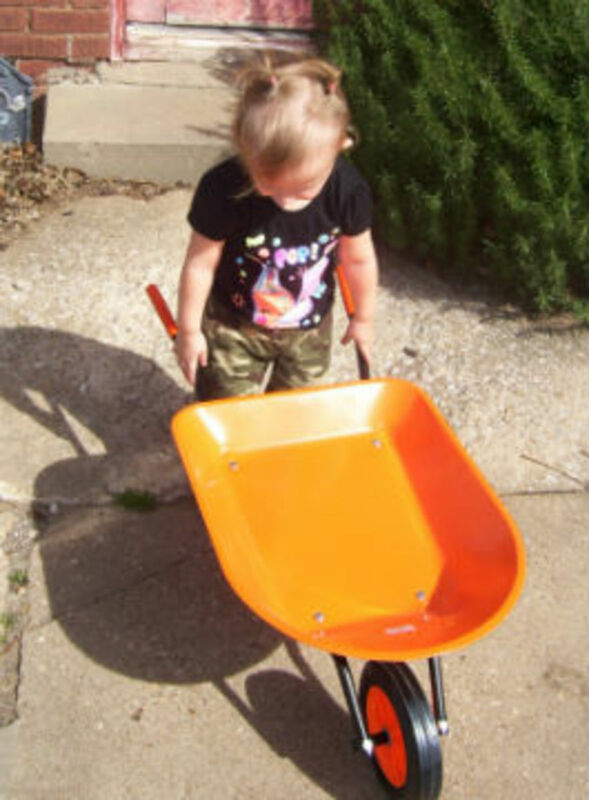 It melts my heart to see my daughter hoeing with her little tools, then putting the dirt in the small wheelbarrow. I have to admit...I use her small trowel more often than she does. It is more durable than the adult one! I think having the matching tools sets helps put parent's in the right mind-set too, and I also hope more people take their kids outdoors this year. Thanks so much for reading and commenting! 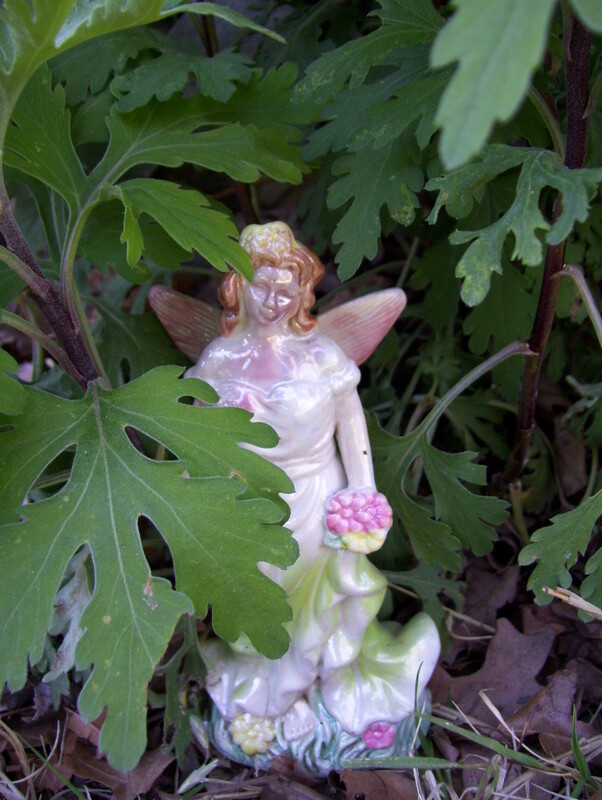 @aviannovice--I was surrounded by gardening of all types since birth. Frankly...I hated it. But my daughter loves it, and I am learning to enjoy it through her experiences. So in a way, she is teaching me! Thanks so much for reading and commenting! 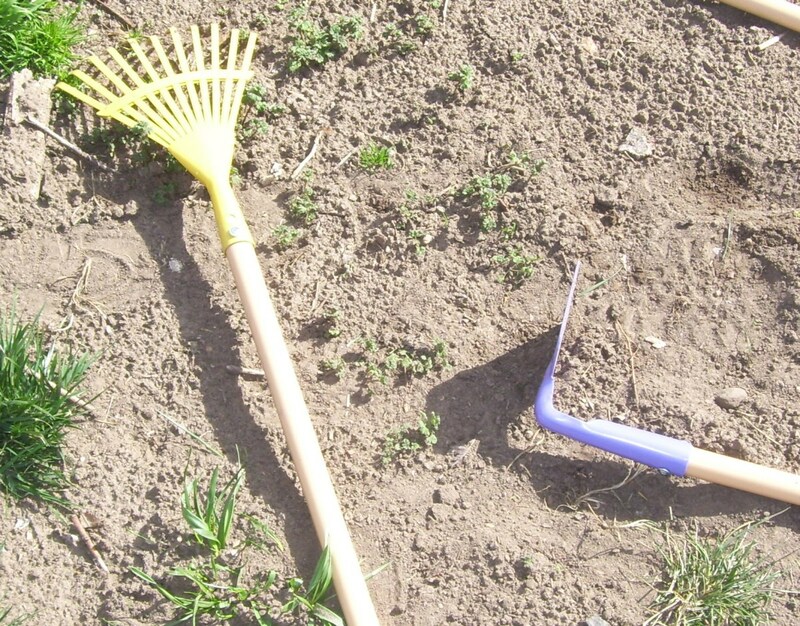 I had so much fun gardening as a kid! My dad gave me this great set of mini gardening tools. They were metal, but small person sized. This is a great hub and I hope it encourages others to take their kids outdoors for a bit of approved playing in the dirt! Your Hub makes me want to go out and get some kids to plant flowers! My children all loved to garden alongside me, and now that they are adults, they still have that love of plants. That makes me so proud. I loved your adorable photos, too. 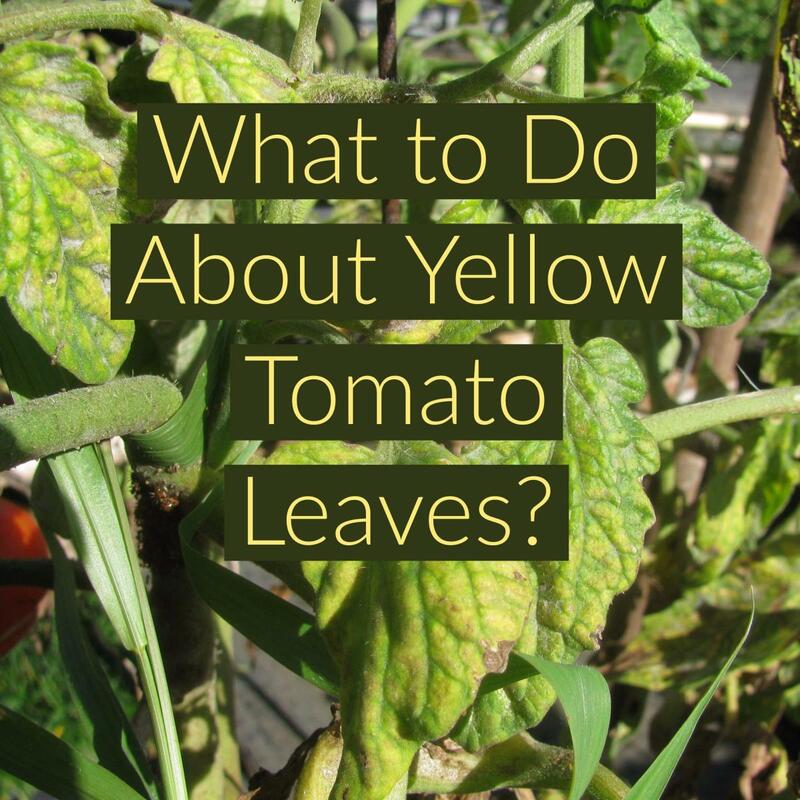 Voted UP, shared and Pinned to my gardening board. Thank you, Jayme, for your ideas with the container plants. That would be great! Great article and s important as well. My Mom encouraged what is now a strong love of gardening and indoor plants. She would bring me into the garden with her and I would help where I could. Now, one of my favorite pass times is gardening. @faythef--Sounds like you and your grandchildren have a wonderful time gardening together. No wonder your flowers are so beautiful, the receive lots of love! Thanks for reading, commenting and voting! This is a great way for kids to learn a great deal about nature. I learned by helping in the family garden at home, but I wasn't that little. @Vellur--Thank you so much for reading and commenting. There wasn't nearly enough room to go into detail about what all kids learn. for instance my daughter is fascinated at the moment by the wooly caterpillars. She has learned that if she touches them with a blade of grass they will roll up. I learn from it too. Since they are plant-eaters, my first thought is to throw them over the fence. But yesterday we stopped to play with them because she loved them so much. Gardening with kids is a great experience! Thanks again! A wonderful hub! It really reminds me of my childhood days where I used to help my grandma in the garden, digging, planting, picking berries. I had so much fun. Now we are living in a city where my children don't have the possibility to be in a garden. 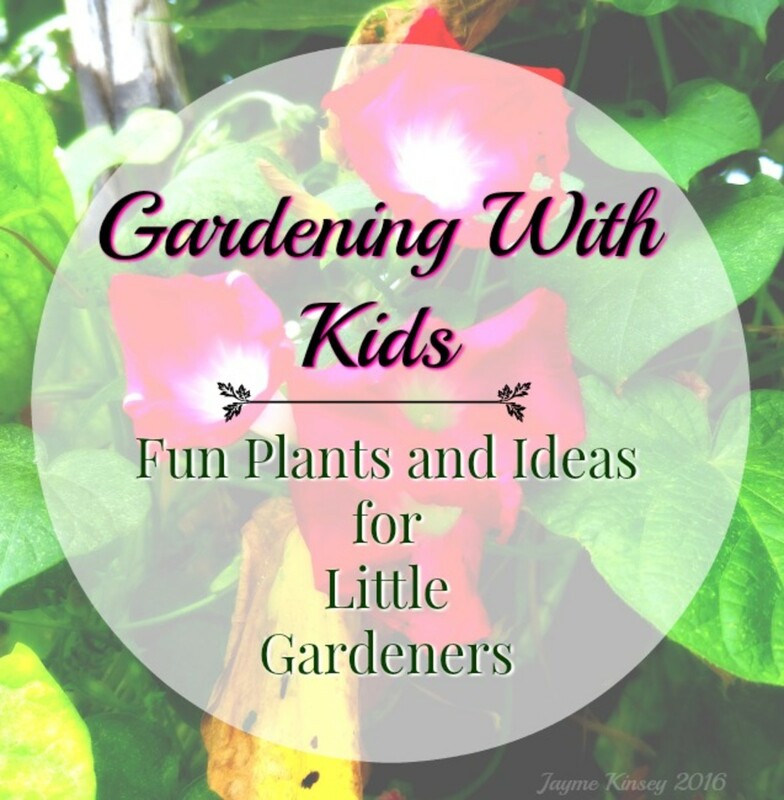 Great hub about gardening with kids. Children learn a lot through gardening. They enjoy getting their hands dirty and always ready to dig up mud!! Great information on the tools to be used and the safety to be followed. Voted up interesting and useful.